Get your Class 12 or Class 13 MAST Permit Today! WELCOME TO OUR ONLINE WASHINGTON MAST PERMIT COURSE! We have been offering Washington Mandatory Alcohol Server Training for over 15 years! Our MAST program was designed to provide Servers, Bartenders, Bar & Restaurant Managers, Growler-Filling Staff, and Alcohol-Tasting Staff with the knowledge required to confidently and lawfully carry out their positions. Our intention is to ensure that Washington State Alcohol Selling and Serving laws are understood and adhered to at all times. We also strongly promote having fun while working and encourage our MAST Permit holders to follow Washington Alcohol Laws while simultaneously creating enjoyable experiences for themselves and their customers! Our Program is APPROVED by the Washington State Liquor Cannabis Board! Why take our Online MAST Course? Thanks to Len Riggs, a former comedian, our Mandatory Alcohol Server Training Program is the most entertaining course available anywhere! Our course works on all devices! PCs, Laptops, Tablets, and Mobile Phones. By taking our course, you will receive the most comprehensive training available in Washington State which will protect you by reducing your risk of being held liable for alcohol-related issues. Your Class 12 or Class 13 MAST Permit will be mailed to you upon course completion to ensure you receive it promptly! We will report your permit directly to the WSLCB once you complete the course. This course is available 24/7, and you can log on and off as needed - You are not required to complete the entire course in one sitting. You are guaranteed to receive exceptional customer service every step of the way should you need support! We have been told by past students that we have the best Online Alcohol Server Training Program available! Who needs a MAST Permit? Why do I need to take a Mandatory Alcohol Server Training (MAST) Course? The Washington State Liquor Cannabis Board (WSLCB) mandates that everyone who serves alcohol, fills growlers, and/or manages employees who serve, mix, or pour alcohol must complete a WSLCB approved Mandatory Alcohol Server Training (MAST) Course and receive a MAST Permit in order to ensure the responsible sales and service of alcohol and promote public safety. When do I need to get a MAST Permit? You are granted 60 days upon your hire date to complete a MAST Course and receive a MAST Permit. Note: Some employers require prospective employees to have a MAST Permit before they will hire them. How long is a MAST Permit valid for? MAST Permits are valid for 5 years from their issue date. What is a Class 12 MAST Permit? A Class 12 MAST Permit is issued to anyone who completes a MAST Permit Course and is at least 21 years of age or older. The Class 12 Permit allows the permit holder to serve, mix, and pour alcohol, fill growlers, conduct alcohol tastings, and manage employees who serve, mix, and/or pour alcohol. What is a Class 13 MAST Permit? A Class 13 MAST Permit is issued to anyone who completes a WSLCB approved MAST Permit Course and is between the ages of 18-20 years old. 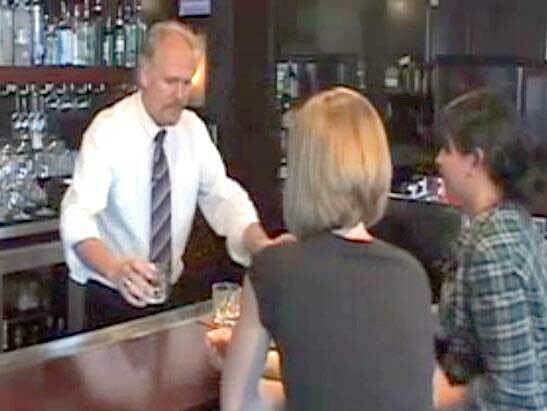 The Class 13 Permit allows the permit holder to take alcohol orders and bring alcohol to a customer’s table and/or pour alcohol into a customer’s glass at their table. How will the MAST Permit Training benefit me? Aside from the MAST Permit’s ability to help you land a job, Mandatory Alcohol Server Training provides you with the knowledge and skills necessary to carry out your position proficiently. You will learn about Washington State Alcohol Serving and Selling Laws & Regulations which will help to protect you and your employer from liability! Have a firm understanding of alcohol’s impact on the human body and on society at large. Know the signs of intoxication and be adept at taking the action(s) required to cut off a customer who has become intoxicated in the most efficient and effective manner possible. Have the competence required to properly check an ID in order to ensure minors are never sold or served alcohol. How do I become re-certified once my MAST Permit expires? Once your MAST Permit expires you will be required to re-take the MAST Course in order to receive a new MAST Permit. Note: The Washington State Liquor Cannabis Board (WSLCB) mandates that you renew your MAST Permit before your current one expires. You are required to have a valid (not expired) MAST Permit on you at all times you are working! For more FAQs please click here! Our philosophy here at AACEA is to provide MAST Permit Education to Alcohol Sellers, Servers, and Managers focused on Customer Safety by promoting Responsible Alcohol Sales and Service in order to help recognize and eliminate liability! New Year = New Birth Year to Check!